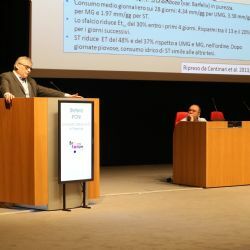 Within the 10th Enoforum edition that took place at the Vicenza fair, starting May 16th up to May 18th, a significant space was devoted to the SOIL4WINE project, who proposed a program module aimed at improving soil management and at valorising the soil ecosystem. 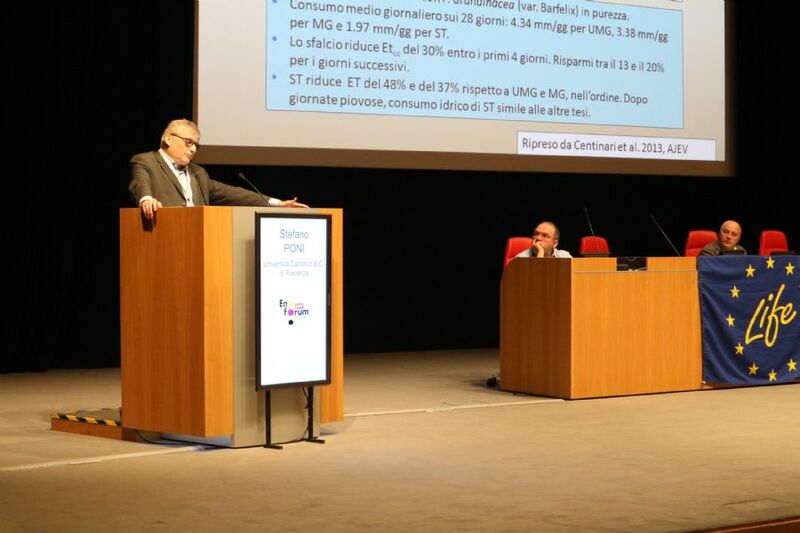 The session was opened by Prof. Tabaglio from UCSC of Piacenza, who provided the attendees figures and elements that demonstrate the fundamental role of soil in agriculture. A conservative agronomy allows to keep a suitable degree of organic matter in the soil, and aboveall produces a structure with high resilience against meteorological events. The rest of the session was conducted by Prof. Poni, who focused his talk on the differet types of cover crop, a practice becoming increasingly popular for its evident benefits, but still not completely understood in its effects on the vine plant and grape production. One of the goal of SOIL4WINE projetc is to reduce this knowledge gap.